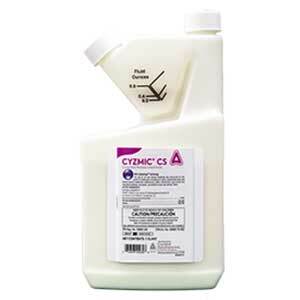 Cyzmic CS is a slow-release, microencapsulated formula containing lambda-cyhalothrin and CSI’s CapVantage technology. CapVantage allows immediate release of some capsules for quick knockdown, while other capsules are made to diffuse the active ingredient over a period of weeks, giving Cyzmic CS a long-lasting residual. The broad use label includes applications for structural and perimeter pest control, including food handling, animal housing, turfgrass and ornamentals. Cyzmic CS targets ants, cockroaches, mosquitoes, silverfish, spiders, stink bugs, darkling beetles, ticks, flies, fleas, scorpions, bed bugs and other labeled pests.